Looking to give the perfect gift? Well, why not receive a bonus for yourself, too! 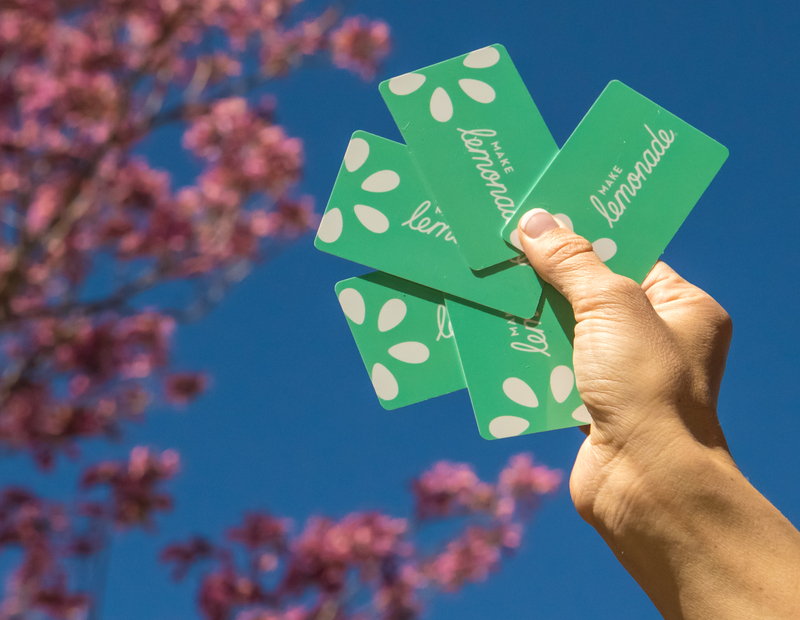 Now through 5/31, we’ll give you $10 Bonus Bucks for every $50 in gift cards purchased. To get started, visit your nearest store or order online now. 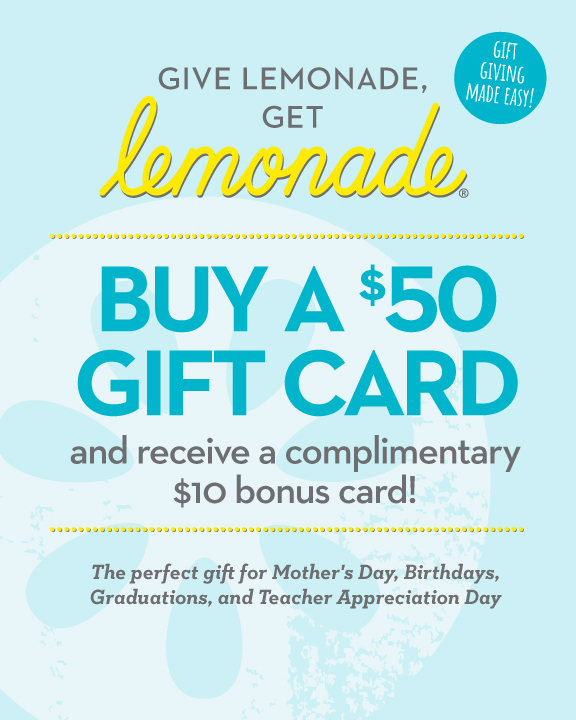 Receive one $10 Bonus Card for every $50 spent in gift card purchases from 4/25/18 – 5/31/18. Bonus cards must be used between 6/1/18 and 8/1/18 and are not valid for catering. Bonus cards have no cash value and cannot be combined with any other promotion or offer.